Performance Music presents In Concert: The University of Scranton Jazz Ensemble with guest soloist Joseph Boga, trumpet/piano, on Saturday, Oct. 27, at 7:30 p.m. in the Houlihan-McLean Center. Admission is free. 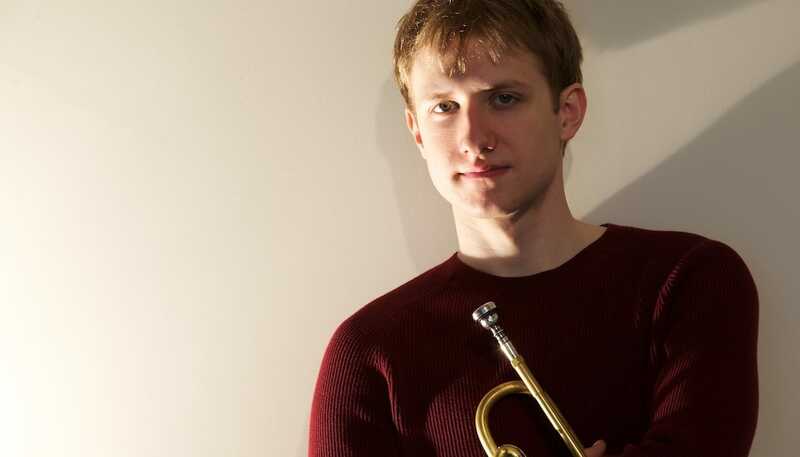 Acclaimed trumpeter Joseph Boga will serve as guest soloist at The University of Scranton Jazz Ensemble’s upcoming concert set for Saturday, Oct. 27. The concert, presented by Performance Music at The University of Scranton, will take place at 7:30 p.m. at the University’s Houlihan-McLean Center, Mulberry Street and Jefferson Avenue. Admission is free, with seating on a first-come, first-seated basis. Boga will also lead a free brass masterclass at 4 p.m. that afternoon. The class is open to local amateur and professional brass players, ages 16 and older. Those interested in participating should email music@scranton.edu to pre-register and obtain more information. “It’s been a number of years since he’s been here as a featured soloist with our jazz band and the kids are excited about it; they love him,” Cheryl Boga said. A 2014 graduate of The Juilliard School, Joseph Boga is equally comfortable in both jazz and classical settings and has performed on four continents with a diverse array of musicians. His trumpet teachers include greats like Mark Gould, Wynton Marsalis, Chris Gekker, Joe Magnarelli and Chris Jaudes. On the jazz side, Boga leads his own quintet and nonet, and regularly performs with James Langton and the New York All-Star Big Band, Vince Giordano and the Nighthawks, Ron Wasserman's NYJazzharmonic Trad Jazz Sextet and the Kyle Athayde Dance Party. He has also performed with Wycliffe Gordon, Loren Schoenberg, Gordon Webster, Chris Norton, Danny Lipsitz, Tatiana Eva-Marie, Phil Woods, Michael Feinstein and many others. In the classical realm, Boga has soloed with numerous ensembles, including locally with The Northeastern Pennsylvania Philharmonic, Bucknell University Wind Ensemble and The Scranton Brass Orchestra. He is also a member of the legendary New York Trumpet Ensemble led by Mark Gould. A talented composer and arranger who also plays piano and bass, Boga has written for brass orchestra, big band, string orchestra, choir and various sized jazz ensembles. He has given masterclasses and clinics in seven states, and has served on the faculty of the Scranton Brass Seminar, the Juilliard Jazz Camp in Atlanta, the Sitka Jazz Festival in Alaska, and the Generations in Jazz Lafayette Summer Music Camp. Additionally, he maintains a small private trumpet studio enrollment. The University of Scranton Jazz Ensemble is a 25-member big band-style collective, made up of student musicians from majors spanning the curriculum. The band performs five or more times per year, with the majority of its performances free and open to the public. Often, those concerts feature a nationally or internationally known guest soloist. For further information on the concert, call 570-941-7624, email music@scranton.edu or visit scranton.edu/music. For more information on Boga, visit josephboga.com.